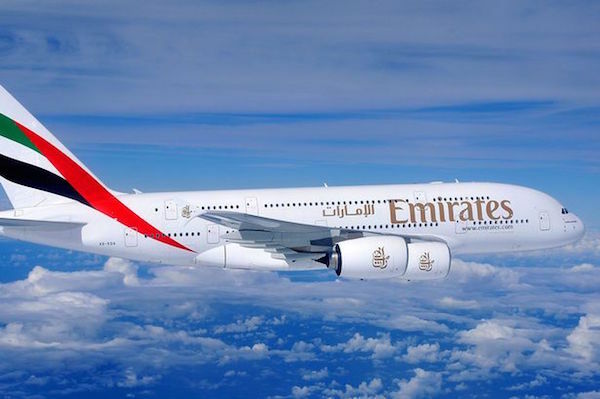 Emirates announced plans to reduce flights on five US routes starting in May due to weakened demand after the restrictions imposed by the Trump administration, BBC reported. The airline will reduce the number of flights to five of the twelve cities it serves in the United States. According to the airline’s spokeswoman, the recent actions taken by the US government relating to the issuance of entry visas, heightened security vetting and restrictions on electronic devices in aircraft cabins have had a direct impact on consumer interest and demand for air travel to the US. Emirates will reduce the number of direct flights to Fort Lauderdale and Orlando to five from seven a week in May. It will also cut the frequency of flights to Seattle and Boston in June to from two to one per day, with a similar frequency reduction for Los Angeles from July. On the other hand, another UAE airline Etihad Airways said that it has not experienced any significant change in demand on flights to and from the United States in the recent weeks. Demand continues to remain strong on all 45 weekly services between Abu Dhabi and its six US gateways of New York, Washington, Chicago, San Francisco, Los Angeles and Dallas, according to Etihad’s spokesman as quoted by UAE news agency WAM. Etihad’s spokesman added that effective June 1, Etihad Airways’ second daily Abu Dhabi – New York service will be upgraded to an A380, making its twice-daily flights on the route an all superjumbo operation. On March 21, an announcement came about a new US ban on large electronic devices, such as laptops, tablets, cameras, DVD players and electronic games, from cabin baggage on routes from eight Middle Eastern and North African countries, which include Emirates’ base United Arab Emirates (UAE).